Soldier, it has come to my attention that the last time Rathorial and I tried to survive all 50 waves of horde mode, our host died on level fifty. He and I, old soldiers that we are, never got over that. And we want THREE brave souls to join us in accomplishing this task. Should you survive, there'll be an achievement in it for you. Unless you've already got the achievement, in which case, well, lol, I guess. But yeah. We're looking at doing it some time on New Year's Day right now, though we may change things if you've got another preferred time. 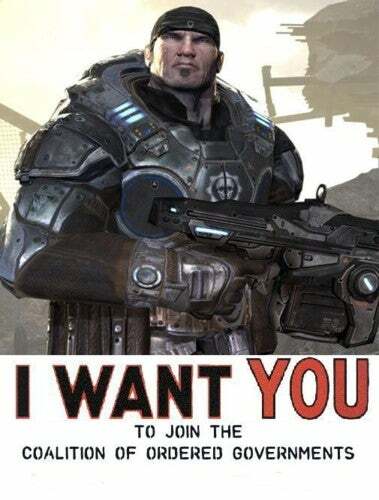 All you'll need is an Xbox 360, a microphone, Xbox Live, and a copy of Gears of War 3.